Yesterday, I took a look back at who I met from January – March and, today, I’ll take a look back at April – June. This was a particularly fun stretch that featured a Day of Extreme and yet another successful Legends of the Ring! Enjoy and please feel free to drop comments! April began with another signing at the Wrestling Universe featuring the iconic duo of Bob Backlund and…P.J. Black?!? I must’ve missed that epic pairing. Highlights included: Finally meeting PJ Black, who could not have been any nicer! I managed to get him in a couple of spots in my Encyclopedia while Backlund signed my WrestleMania 32/HOF Program and my WWE Ultimate Superstars Guide. April 22nd was a special kind of day: a Day of Extreme at the Wrestling Universe! 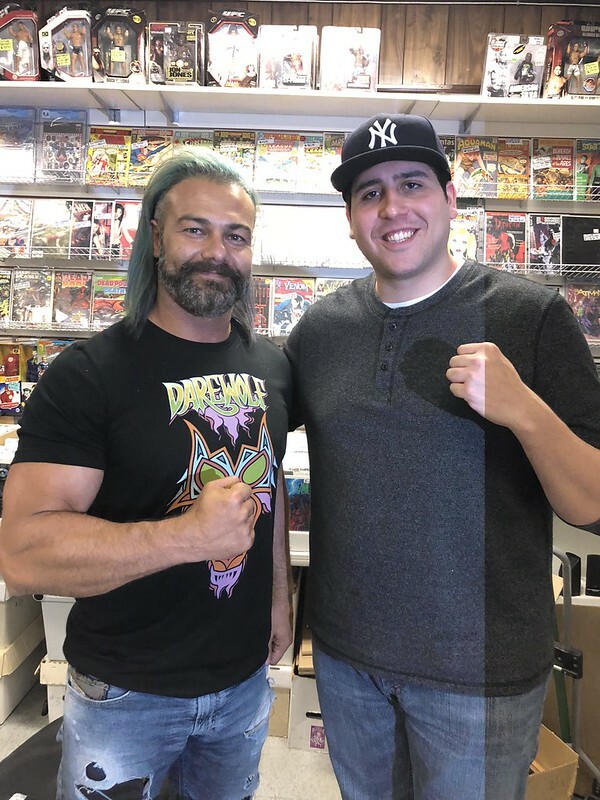 A collection of ECW icons assembled on the Wrestling Universe (and their neighboring comic store) and I was fortunate enough to meet all of them. Highlights include: F.B.I. group photo op and the 911 photo op. I also scored a ton of autographs. The calendar flips to summer 2018…and to Legends of the Ring 26! 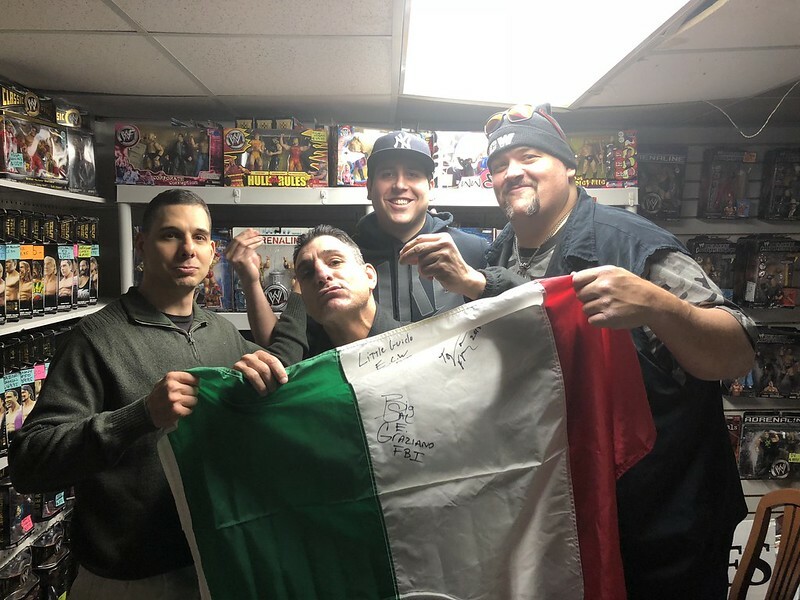 Full list of wrasslers I met: Tyson Kidd, Dominic DeNucci, Mario Mancini, Johnny Roddz, Little Guido/Tommy Rich/Tracy Smothers, James Ellsworth, Mick Foley, Damian 666, Bestia 666, Jose Luis Rivera, Paul Ellering, Steven Regal, Scott Casey, Kelly Klein, Raven, Nikolai Volkoff, Headbangers, Brandi Rhodes, Bernard the Bear, D’Lo Brown, Rock ‘n’ Roll Express, Summer Rae, Rob Van Dam, and Emma. Highlights include: The dual photo op above, talking with Nikolai Volkoff one last time, and spending the day with very good friends. Also, make sure you read my full report below to see all of the autographs and photo ops I scored that day. April and June were a load of fun while I struckout in May. Oh well. Make sure to check back tomorrow for Part 3 of this series.